For what seemed like an eternity, 3G ruled mobile internet. Nowadays 4G internet has reset the standard. Over time the development of the 4G hotspot took mobile internet to even higher heights. That’s why clear spot hotspot pocket routers are the best wifi routers on the market for those on the move. Anyone can enjoy their favorite unlimited mobile broadband internet services with the Voyager Hotspot. In our previous post, we went in depth about Clear 4g internet and its benefits to travelers and personal users. This Clear Spot Voyager wireless hotspot review will help you decide if investing money for the Clear Spot Voyager is worth it. Before getting into too much detail, let’s review the features of this hotspot device. The Voyager wireless hotspot has lots of great features. Here we’ll discuss the pros and cons of this device while taking into consideration reviews and other feedback. The Clear Spot Voyager provides the best performance for Windows, Mac, and Linux users. A user won’t waste their time installing the device on a computer. The 802.11 b/g helps you connect the device in under a minute to a smartphone or laptop. Windows XP users should install the wireless driver on their computer, turn on the wifi, and connect to the Voyager Hotspot to begin browsing the internet. Windows 7, 8.1 and windows 10 do not require any drivers. Mac and Linux also do not require any external driver to run the clear spot voyager on their computer. Every clear spot user is able to use the device via USB cable. There is a USB 2.0 port available on the clear hotspot. When anyone connects the voyager on their pc via USB cable, the device automatically starts charging the battery. The wireless dongle clear spot Voyager includes 1830 mAh battery. We can personally attest that it runs up to 7 hours within a single charge. A clear user can use the device to stream videos, play games and surf the internet for 7 hours with no problem. The clear hotspot does not waste the battery for it’s own processes. There is only a single power button and few indicator LED which only indicates network frequency, upload, and download. The Clear Spot Voyager supports 802.11 b/g wi-fi enabled devices and they include advanced security protocols WEP, WPA and WPA2. The downside of the Voyager Hotspot is that it has a sticker indicating the default password and Network ID which is easily readable. One would be wise to remove this sticker as it can pose unnecessary risk for users. The US has los of 4G WiMAX internet providers but the clear spot is unique in that it is a single mobile broadband internet provider that provides UNLIMITED internet data for their user. Currently, they have two data plans: 1.5Mbps download and 0.5Mbps upload speed at $39.99/mo. and 6Mbps download speed 1.5Mbps upload speed for $49.99/mo. Both plans are unlimited and clear spot support 4G. To learn more about clear spot price and plans click here. 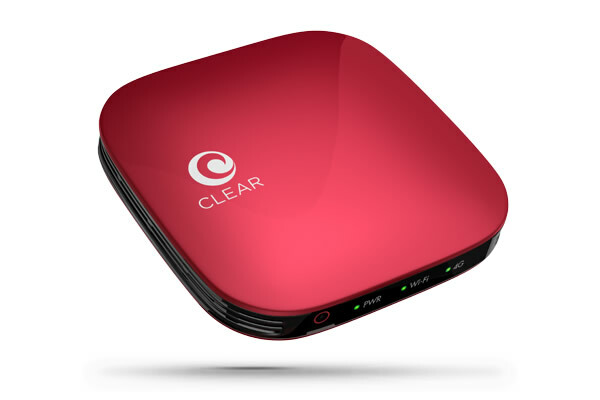 The Clear Spot Voyager Hotspot is a powerful and excellent device for everyone. The Clear hotspot is a touch on the expensive side but it’s unlimited mobile broadband internet accessibility makes it a great value. Use our links above to purchase this great product from Amazon with free shipping. Huawei E5770s review – Does it really work without a battery?